While Amazon was ramping up the ad blitz, Walmart dialed back its TV ad spending. If you think you're seeing a lot of Amazon ads on TV these days, it's because you are. The e-commerce giant increased its TV advertising spending last month by a whopping 290 percent from the same period in 2017, according to a report from the ad measurement firm Kantar Media. Some ads feature Amazon's signature brown boxes singing "Can You Feel It?" by The Jacksons. Other ads focus on the company's AWS cloud services product. 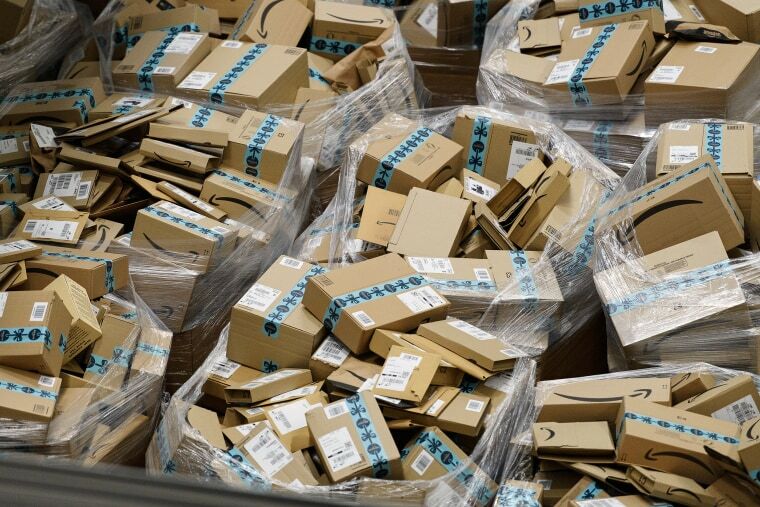 Amazon spent an estimated $35 million on TV ads from Oct. 29 to Nov. 26, which includes Black Friday and Cyber Monday. That makes the e-commerce giant the fourth-biggest retail spender on television, behind Walmart, Targe, and Kay Jewelers. But while Amazon was ramping up the ad blitz, Walmart dialed back its spending — as did six of the other top 10 retailers — though Kantar suggested this could have been due to the midterm elections, when political advertising was in heavy rotation. Walmart aired an estimated $63 million worth of ads on broadcast network, cable and Spanish-language TV, a 32 percent decline year-on-year. Target spent $60 million, cutting its spending by 19 percent. Both Walmart and Target advertised free shipping offers aimed at blunting Amazon's unique selling point. Perhaps one reason Amazon is spending so heavily is that Walmart and Target are cutting into the e-retailer's dominance in online sales. Bank of America Merrill Lynch analyst Robert Ohmes noted in a recent analyst report that Walmart's e-commerce growth rose 43 percent in the third quarter, while Target's grew 49 percent. Kantar also revealed that, in addition to their TV spending, the top 10 retailers spent a total of $44 million on Facebook ads over the same holiday period. Walmart spent $12 million, while Target spent $8 million, and Amazon spent $6 million — further indication that online and offline worlds are inching ever closer together.